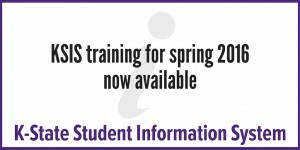 KSIS training dates and times are now available for spring 2016. Instructor-led training is available for faculty, academic advisors, and staff at no charge. However, registration through HRIS is required. See Using HRIS to register for classes. Zoom maintenance was conducted on Wednesday, Sept. 16, to fix problems experienced by many users this semester when using Zoom videoconferencing through K-State Online. A fix was applied to the Zoom tool within K-State Online that will resolve this issue. Instructors will need to re-link Zoom in their courses. Get a free copy of Microsoft Office for personal use on up to 5 PCs or Macs, 5 tablets, and 5 phones. See the installation instructions for Mac, for Windows, and for mobile devices. Connect your mobile devices to K-State’s wireless network. Install free Trend Micro Antivirus software (required for all computers connecting to K-State’s network). Subscribe to the K-State IT News blog to get the latest IT happenings. Use “Subscribe by Email” in the right sidebar. Connect with the IT Help Desk on Twitter and Facebook. 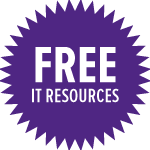 More IT resources for K-Staters are on the Welcome to IT at K-State website. Send questions to the IT Help Desk, helpdesk@k-state.edu, 785-532-7722. You can also search the IT Knowledge Base. Colleague 2 Colleague, a non-profit regional professional organization, is hosting the 16th annual Summer Institute on Distance Learning and Instructional Technology (SIDLIT) Thurs. and Fri., July 30 – 31, 2015, at Johnson County Community College in Overland Park, Kansas. 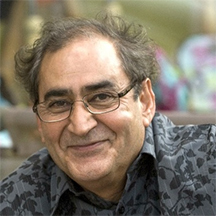 Dr. Ali Jafari, Professor of Engineering and Technology and Director of CyberLab at Indiana University, will be the 2015 keynote speaker. He will be speaking on “Next Generation of Learning Management Systems: Social, Global, and Engaging”. On Dec. 22, Information Technology Services will be making changes to the authentication system that K-Staters use to access some IT resources. 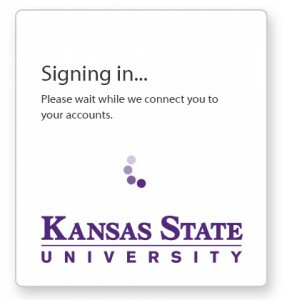 When accessing Webmail, K-Staters will see a new progress screen that shows the Kansas State University wordmark and a spinning wheel. The new authentication step is necessary to bring IT systems online, such as Microsoft’s OneDrive and Office for home and personal use. The K-State Zoom audio/video conferencing service has been upgraded to work with the university’s Single Sign-On service, which allows K-Staters to use their eID/password to sign in. Instructions for how to sign in can be found in the Accessing Zoom article. You can access Zoom by using the Web, the Zoom app download, or a link on your K-State Connect page. Please use Single Sign-On from now on. Attention: Previous K-State Zoom accounts will be deactivated on Feb. 16, 2015.